I thought about Whitney Houston a lot this month. I remember the day she died quite vividly. February 11, 2012. I was on my computer that Saturday afternoon and the news popped up on Yahoo. I had been at work, just a few blocks away from the Beverly Hilton when she died. I do not know of a celebrity death that has affected me more. I loved Whitney Houston. Her music was part of the soundtrack of my formative years,. I remember watching MTV in hopes that they’d play the How Will I Know video and then dancing to it, alone in my room. There was also something about her story that resonated with me: she was a church girl. She grew up in the church and sang in the church and talked about her faith in interviews. Not surprisingly, she was a polarizing topic at my Bible college. Her albums had songs about faith sandwiched between songs about infidelity or sexual longing. I remember belting out I Wanna Dance with Somebody in my ’79 Monte Carlo on those long drives from Joplin to Independence to visit my parents. 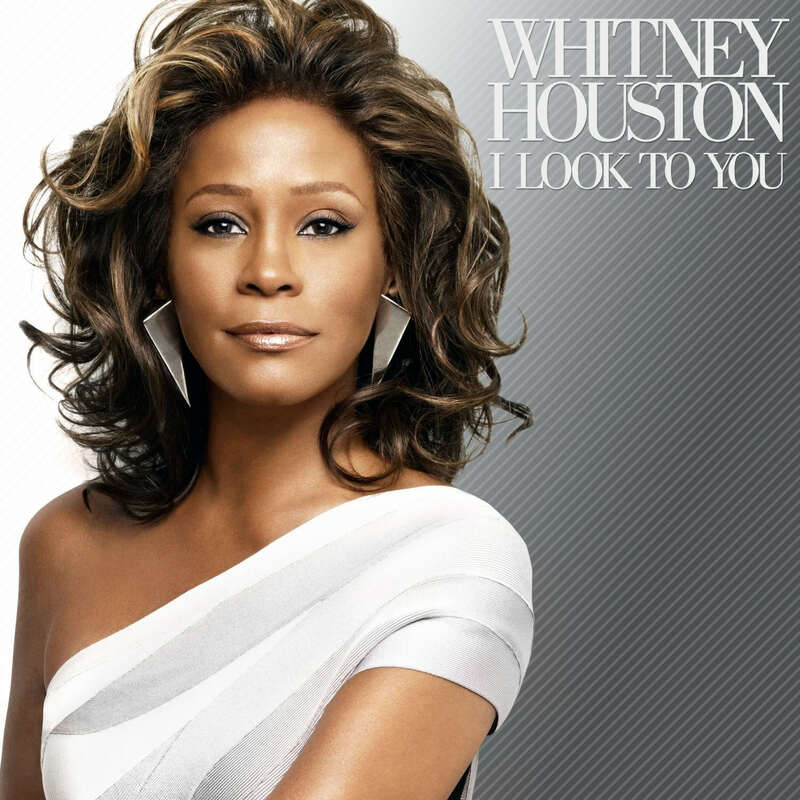 Like many of our first loves, somewhere along the way, I lost track of Whitney. I saw The Bodyguard, of course and had a boyfriend give me a cd single of I Believe in You and Me. (As it turned out, he did not.) But somewhere between 1991 and 2012, I stopped buying Whitney’s music. And then she died. And I started listening to her all over again. I bought the greatest hits collection on iTunes and I found this song that she released shortly before her death. 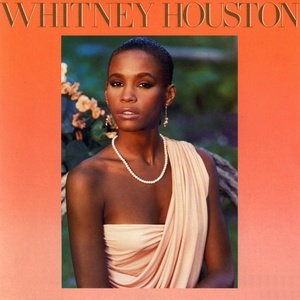 As a chubby, awkward, gay boy growing up in Kansas, I would stare at the picture of Whitney on the cover of her first album and think, “She’s just so pretty!” And then, after her passing, I found myself staring at the cover of her last album, I Look to You in a similar way. She was still so beautiful, of course, but her face gave some indication of the struggles that she had endured, the struggles that she had seemingly overcome. Whitney Houston had her demons. She had this voice and face and look that was a gift from God, but there were things that she struggled with. And as much as I loved her because of her beauty, I think I understood her because of her weaknesses. I have demons myself. Some you know about, others I hope you never know about. I love this video. As someone who grew up in church, it’s a plea from the broken to a merciful God. At the end of the day, whether we are Grammy winners or restaurant hosts, we all need a little help. So, if you have a few minutes, have a watch and listen. And don’t be too judgmental about your own brokenness, because at the end of the day, we are all the same: the lost looking for a cause, the weak looking for strength and the melody-less looking for a song. I love a used book store. I love uncovering a treasure, a biography of an actor that I never knew existed or a great novel by an author I’ve never heard of. But also, I love that every book tells a story, many tell more than one. I am on the plane back from New York as I type. It’s not outside the realm of possibility that I’ll be blogging about the trip for days to come, but this is not necessarily a New York story. Yet, New York plays her role here, too. Here’s thanks for your many kindnesses. I had some fun with this book. I hope you will, too. It’s a simple inscription, clearly Steve was thanking Michael for something. He actually wrote his own short story in a collection of short stories and in some ways, so far anyway, it’s the most captivating. I want to know who Steve is. Will I learn more about him by reading this book? Maybe. Steve thought enough of it to buy it and gift it. And then there is the mystery of Michael, did he hate it or perhaps even hate Steve and that’s why it ended up in a thrift store? Did he deposit it here because he moved away? And because I am gay man living in a certain time in history, I do wonder if Michael, or Steve for that matter are even still with us. I hope so. Also, it occurred to me that since I lived in Manhattan in 1992, I might have known them or passed by them on the street. Maybe we frequented Splash or Uncle Charlie’s on the same nights or shared a lane at the Carmine Street Pool or ate at cramped nearby tables at MaryAnn’s. Maybe we auditioned for the same plays or NYU student films? Who knows? It’s humbling and comforting that a book can live on after we lose interest or even perhaps pass on from this earthly plane. It can travel from hand to hand and touch soul after soul. Obviously, all art is like that. 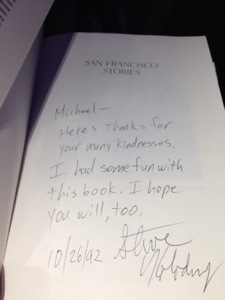 So, I don’t really know how many of these San Francisco stories I will read, but I’m glad I bought the book. It seems like it’s already brought me $4 worth of joy. And maybe some day it will find it’s way into the hands of another, and I hope that person will appreciates it, too. 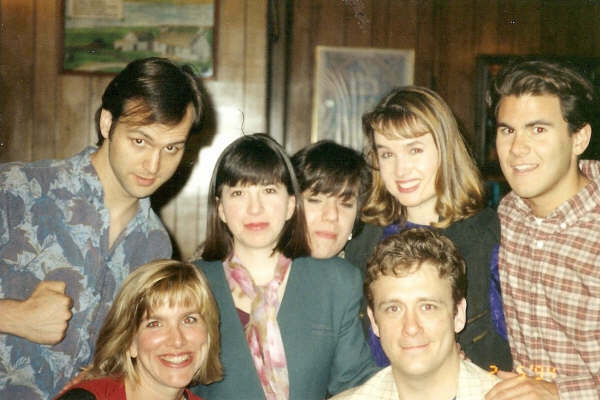 Over twenty years ago, I was cast in small role in a play in New York. One of the leads was a woman I’ll call Amy, since that is her name. She was one of the most magical performers I’ve ever seen. I remember watching her in rehearsal, marvelling at how funny she was, and also so quick, too. We seldom talked to each other, I was fairly shy and she was the star. I remember one rehearsal when the entire cast went out to eat together and Amy sat there knitting while everyone else chattered excitedly. She was so mysterious, she made me think of the greats, like Geraldine Page or Maureen Stapleton or Sandy Dennis. In fact, she sort of looked like a young Sandy Dennis. A few months later, I took a class at a place called Gotham City Improv. By fate, Amy was my teacher. It was the second level of their program, I had taken the first level earlier in the year. Although I passed, my first level experience was unremarkable. Well, that’s not true, probably. I didn’t connect with any of the other students, I did not feel like any of the other students thought I was funny or interesting. I also did not feel like I was funny or interesting. Level 2 was different. I made three new friends in that class, 3 people who have been my friends for twenty years now. I’ll call them Maryanne, Jerry and Rebecca, because those are their names. Jerry loved every old movie, just like me. Maryanne knew every detail of every 70’s sitcom, just like me. And Rebecca, floated in and out of every scene like the Tennessee Williams meets Beth Henley character that she is, just like, well, just like I see myself in my dreams. I thought that they were all three magical and funny and interesting and they treated me that way, too. We laughed. We wrote. We sang. We collaborated. We actually took every subsequent level together. We passed every class and looking back, I wonder if I would have succeeded in the same way, if not for them. I wrote for them. I would improvise for them, thinking, what will make Jerry and Rebecca and Maryanne laugh? A few months after I moved to LA, Rebecca moved here, too. Also, around the same time, I was walking out of my apartment building and I saw Amy walking in. “What are you doing here?” I asked. “I’m moving in here. Do you live here?” Of all the apartments in LA, by fate or by chance, Amy moved into my building. And over movies we rented from the corner Blockbuster and budget batches of sangria, we became the best of friends. And then Jerry moved to LA and the four of us, Amy, Rebecca, Jerry and I spent a great deal of time together. We’d see each others plays. We’d take turns hosting little dinner parties. And then Jerry moved away. Amy met a guy named Jonathan. He added seamlessly into the mix. It’s always nice when your friend dates someone you like. And it’s even better, but actually a little rare, when you like them so much that they become your friend, too. And of course, that’s what happened with Jonathan. I was thinking about my napkin last Monday night after my Spark show. Rebecca, Amy and Jonathan and I went for drinks together. There was a spirit of celebration, the show had gone well. And those three have been friends with me long enough and seen enough shows that did not go well, that we revelled in the glory. My napkin is very full. I don’t say that to brag, because I don’t have a movie camera or a great talent for accents. But what I do have is an embarrassment of riches in the talented friend department. I feel so lucky to have collaborated with so many people, friends from Gotham City and Popover and Groundlings and Party and Barney Greengrass and Uncabaret. You know who you are. Another thought occurred to me last Monday, which is, you never know, when you meet them, who is going to be an under 5 and who is going to be a co-star in your story. As I sat with Rebecca, Amy and Jonathan, I marvelled at the prominence we’ve had in each others’ lives. And how lucky I am that they are on my napkin. 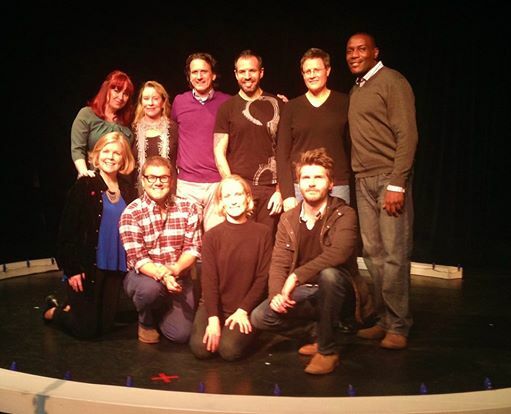 I participated in a storytelling show on Monday, Spark Off Rose. It was a piece that I had been writing for about three months. There were several drafts and I had regular meetings with this particular show’s lead producer, Janet Blake, who is also a friend of mine. (Started 13 years ago, by Jessica Tuck, Spark Off Rose does ten themed shows a year, with 5 different producers taking turns as lead producer.) It was an arduous process that was ultimately rewarding, one of the best night’s of my life. The story that I shared on Monday was framed within the context of an acting class I took a few years ago, about my identification with Chekhov’s Uncle Vanya. Really, though, it was the story of Ray in less than 8 minutes. I didn’t even know if there was even a story there, but Janet encouraged me. I hated what I wrote. I fought to salvage threads that Janet told me didn’t serve the piece. I complained. I lost sleep. Every looming deadline was something I dreaded. But Janet was faithful. Finally, the two of us arrived at a rehearsal draft for the show. Our rehearsal was on Saturday. I had a flat tire that morning, dropped my phone and chipped it a little, spilled coffee on my favorite sweater. But the rehearsal itself went okay, actually, it went pretty well. Every storyteller shared a beautiful story, some very funny, some haunting, some sad, all were affecting. And then the night of the show came. Eric didn’t make it to the show because his car broke down. I was nervous. My chest was tight, one of my arms was sore and I wondered if I might be having a heart attack. Also, I had the added pressure of going first. I stood backstage, listening to Janet welcome the crowd, introduce the show, talk about the night’s theme, You Don’t Know Me. And a resolve washed over me. All the work has been done, I thought. At this point, it’s just me and the pages. All I have to do is go out there and read. It was freeing. And then my introductory song, Is It Okay if I Call You Mine, chosen by me, began to play. And what was on those pages? My journey, in fact, things I’ve written about here on this blog. I read about growing up in Kansas, dreaming of the world out there. I read about Bible college and New York and the game show and working in a restaurant and meeting Eric and finally, about swimming. And the entire time, I clung to those pages. They weren’t just pieces of paper, of course, they were MY pages, MY story. And it went the way I thought I could only dream it might go. Last night I dreamed I was walking around on the Upper East Side and I remembered that I wanted to find Sutton Place. It’s a neighborhood where William Inge lived and I’ve added it to my list of places I want to visit when I go to New York in a couple of weeks. 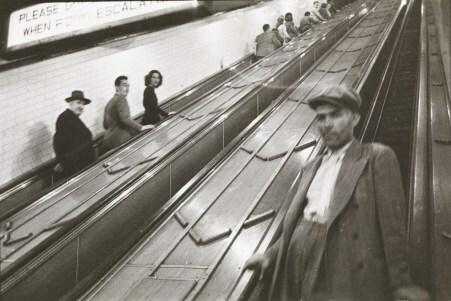 Anyway, as I was looking around, trying to get my bearings, I noticed an escalator leading up to something. I didn’t know where I was headed, but thought to myself, hey, I’m on vacation, let’s see where this goes. It carried me up several stories where I found myself in a waiting room of sorts. I talked to the other people there for a while. I texted my friend Eboni seeing what her schedule was so we could get together. I found in my pocket the deposit I needed to deposit to a Chase Bank from the new job on the Upper West Side that I’d just started earlier in the dream. As I sat wondering where I was going to find a Chase, one of the people in the room with me told me that we were actually on a tram car and at that moment, I realized we had departed Manhattan and we were traveling to an island, in a thunderstorm, I might add. “Are we going to Roosevelt Island?” I queried. “Not Roosevelt Island, but similar,” someone answered. The tram deposited us in a desolate area that consisted of 2 Holiday Inn Expresses and 2 gas stations and nothing more than wide open parking lots. This doesn’t look like Roosevelt Island to me, I thought. I asked the cashier at one of the gas stations where the nearest Chase was, he told me it was 10 minutes away. If he meant by car or by foot, I never learned. The next thing I knew I was walking the halls of an apartment complex or perhaps one of the Holiday Inn Expresses and I came across Eboni. She lived there. We laughed and hugged and that’s all of the dream I remember. In my conscious moments, I love reading about New York history or watching Naked City, filmed on location in NY neighborhoods in the 50’s and 60’s or traveling about on Google Earth, so it only makes sense that I should investigate the same territory in my dreams. Why New York? I don’t know. Would I dream about LA in the same way if I lived in New York? I doubt it. And I do love LA. Perhaps it’s just that New York will always be my first love. The escape I dreamed of when I was growing up in Kansas. Who knows really, though. I do know that while there is something vexing about these recurring dreams, I’m comforted too. It’s a shame we don’t accrue frequent flier miles for all the distance we travel in our dreams. We could take a trip around the world.